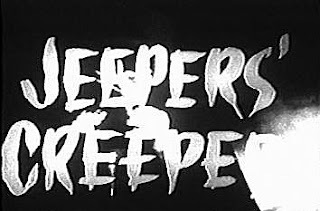 In 1962-63 KCOP-TV, Channel 13, Los Angeles broadcast a horror host show called Jeepers Creepers Theater. 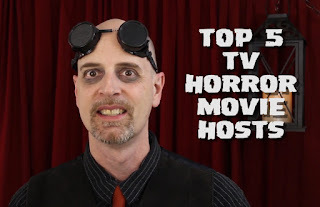 It was hosted by Jeepers Creepers, played by Bob Guy. 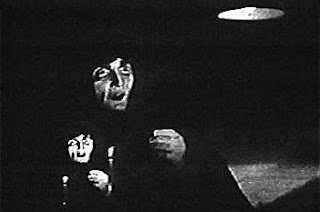 Jeepers was a ghoul type of character and was joined by others including a shrunken head named Julie, a lizard named Billy Joe, Boris the stuffed werewolf, Pumpkin the rat, a skull named Aunt Minnie and her smaller skull relative Doris. After Jeepers left the show, it continued with other hosts, first Ghoulita then Jeepers Keeper. 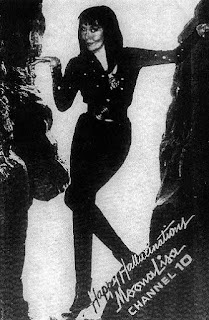 Bob Guy passed away on September 10, 1984. 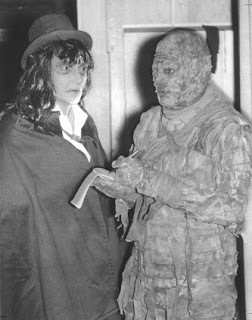 Almost no footage exists from the show, except for one episode that Bob Burns made a guest appearance on as the Mad Mummy and asked to keep a copy. 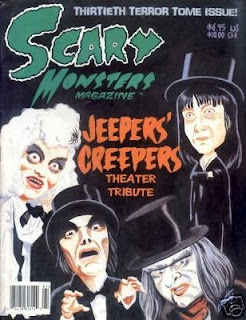 Issue 30 of Scary Monsters Magazine featured articles and information on Jeepers Creepers and the others that came after him on Jeepers Creepers Theater. Check this out. 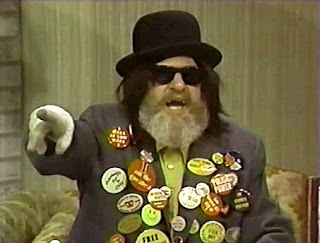 Hard to understand but still Bob Guy done by Frank Zappa ?